Thanksgiving Week! Perfect Wine Pairings + A Cocktail! The question always comes up. 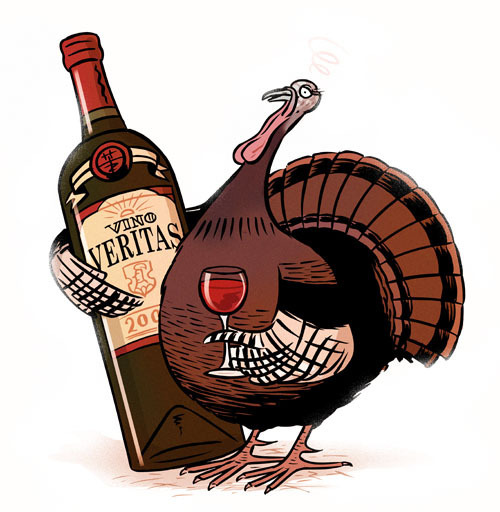 What wine are we going to drink with the turkey? And the dressing, the gravy, the yams, the green bean casserole, the cranberry sauce, etc. You have a lot of things on your Thanksgiving table, so a wine pairing may not be the easiest thing. What I will suggest are two guidelines that I think will help. First, keep it simple. Don’t try to make everything a perfect pair. Focus on what you like and buy that. If you are a Pinot person, get Pinot. If you like Merlot, get that. If you like Chardonnay, by all means! The great idea of Thanksgiving is that you have so much food, that it’ll be good. Second, pair with the prep, not the protein. Instead of saying, what goes with the turkey, as yourself what goes with the prep. That is to say, you are probably roasting a lot of dishes. Roasting brings out the inherent sweetness in vegetables, earthiness in meat, and deep caramelized flavors. (Starting to sound like it’s easier to pair, already huh?) So you want something to complement those flavors. If you want it really simple, I would get a dry riesling (white wine, Chateau Ste. Michele makes a great one for about $9) and a nice pinot noir (try Mark West Pinot Noir – it’s always good and affordable). But, as I attempt to be even more helpful for you curious wino’s, I went to a tasting this past weekend about Thanksgiving Wines! If you live in Nashville, you can pick all of these up at Vinea in 12th South. So here is the list! Ricardo Santos Semillon ($17.99) – Not usually a grape you see on its own, but it’s always in White Burgundy with Chardonnay. This isn’t a huge acidic wine, so I think it can be a crowd pleaser at Thanksgiving. Valdelainos Verdejo ($14.99) – A full bodied white from Spain. A nice departure from Chardonnay and crazy aromatic. Pali Rivierra Pinot Noir ($20.99) – California Pinot. You know it, you love it. Altos De La Hoya Monastrell ($12.99) – More commonly, this grape is called Mourvedre and is used in Chateauneuf-du-Pape in France. This one is grown in Argentina, I believe. Casa Lapostolle Carmenere ($16.99) – I think Carmenere is a great Thanksgiving wine because the wine itself has a veggie quality to it. It smells like green bell peppers and coriander and thus, goes with all your sides. With great winemakers, Casa Lapostolle is always a good bet. Aria Cava Pinot Noir ($12.99) – This is a sparkling red wine. What a party! Etienne Dupont Cidre ($13.99) – This is a sparkling apple cider. Smells like apples, tastes like cider, has bubbles = a win win if you are a wine drinker or not! Now, if you aren’t a wine drinker, here’s a great recipe for a festive cocktail that you can make. I’m a bourbon guy. Bourbon is good during the holidays. So make this awesome Bourbon Cooler. Combine 6 ounces each bourbon and freshorange juice in a large cocktail shaker. Add 5 to 6 tablespoons pure maple syrup and fill with ice. Cover and shake vigorously for 1 minute, then strain into 6 chilled champagne flutes. 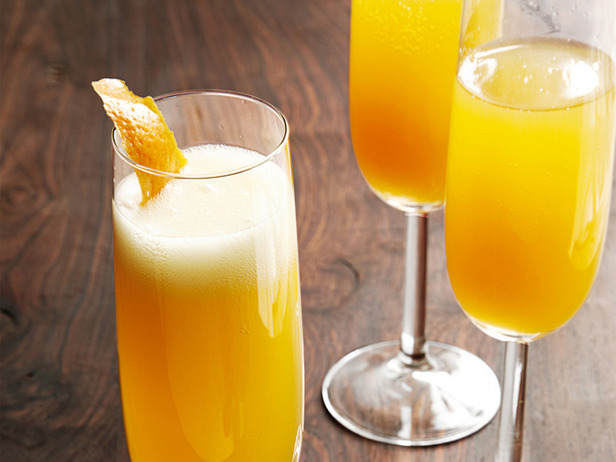 Top with your favorite dry sparkling white wine and garnish each drink with an orange peel twist. all great choices! i’m excited to try some of them! Think You’re Better Off Today Than You Had been six Years Ago? OK, you had me at bananas, but now bourbon too! We must have been separated at birth. I love Bourbon!!!! I am tempted to leave work and get all the ingredients and declare Happy Hour early today!!!! great post, great blog! As long as you give credit and a link back, go for it!